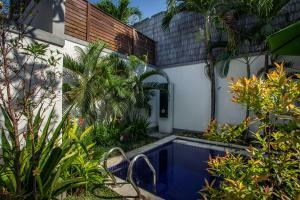 Great location, great villa and lovely pool. The cleaning crew were the best ! Bright and airy. Great sized pool. Close to the main street. The bed was comfy and the rooms were a generous size. The enclosed air-conditioned living area was an excellent way to escape the heat. Clean, spacious, easy key pickup and payment. Location was good, lots of good restaurants nearby. Quiet considering just off a main street. Pool refreshing and cold. The pool was lovely, right at your doorstep. Huge bedrooms and bathrooms. Close to eat street and many nice restaurants. 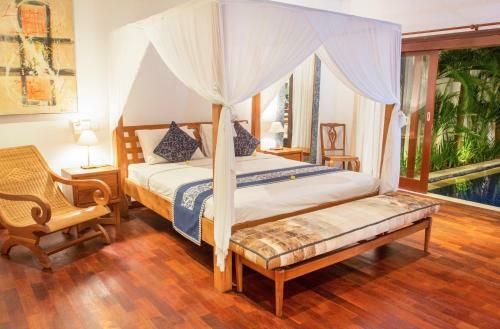 Lock in a great price for Villa Vanilla 2 – rated 8.8 by recent guests! Villa Vanilla 2 This rating is a reflection of how the property compares to the industry standard when it comes to price, facilities and services available. It's based on a self-evaluation by the property. Use this rating to help choose your stay! This modern 2-bedroom villa located just a 10-minute drive from Petitenget Beach, features a private pool with sundeck and fully equipped kitchen. Free Wi-Fi is provided. Villa Vanilla 2 has a dining area and separate living area with flat-screen TV, DVD player and sofa. 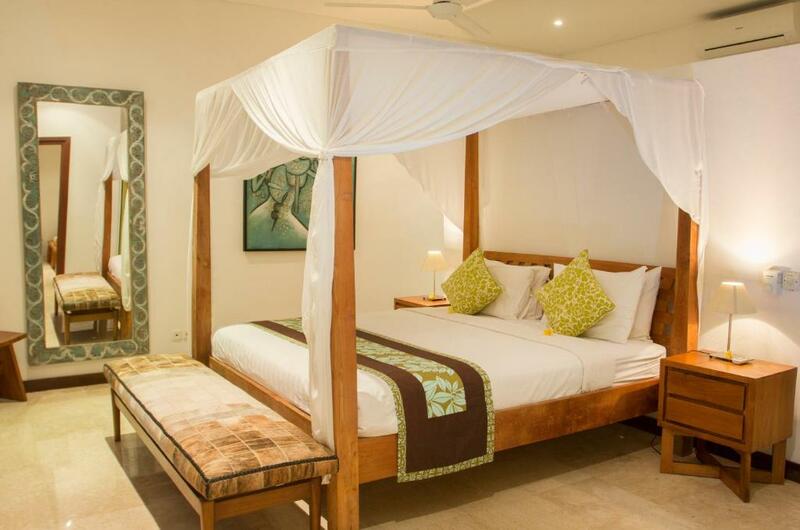 The master bedroom is located on the ground floor with private bathroom with bath. The second bedroom, located on the upper level has its own balcony. Guest services such as car rental, laundry and massage can be arranged, along with an airport transfer at an additional charge. Villa Vanilla 2 is a 40-minute drive from Ngurah Rai International Airport. 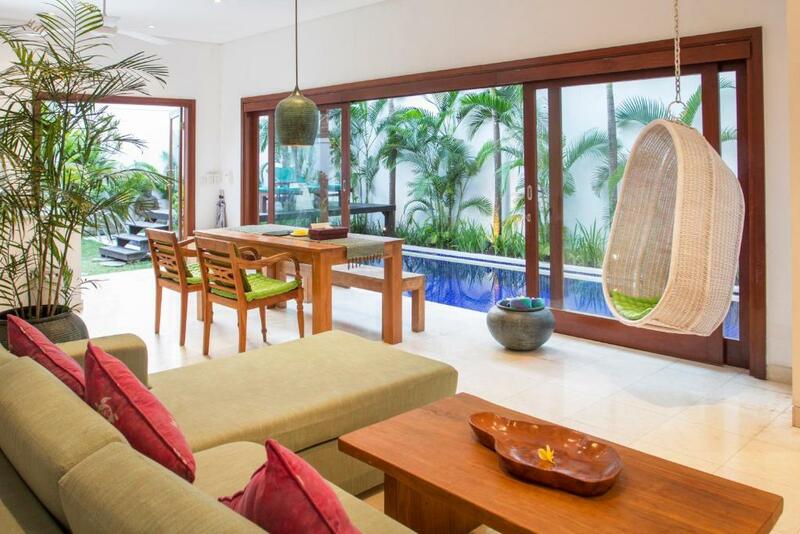 It is a 5-minute drive to Seminyak Square, which offers fine dining, night life and shopping options. 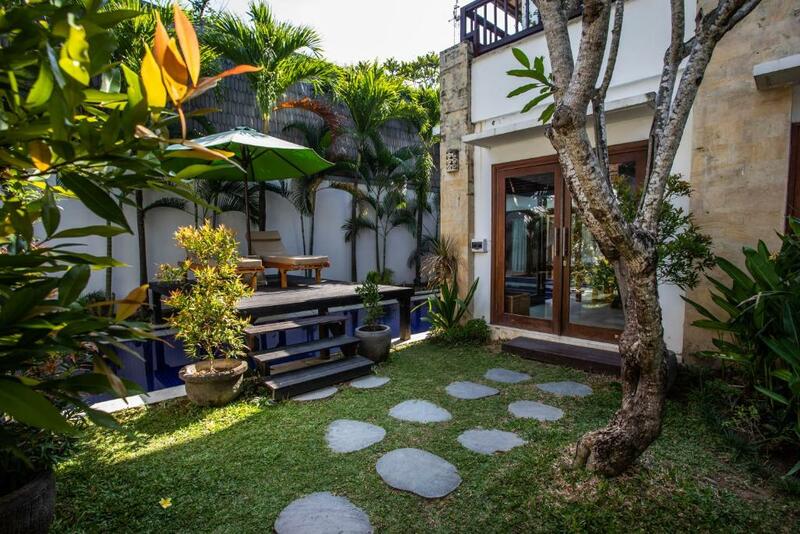 Kuta is a 35-minute drive away. 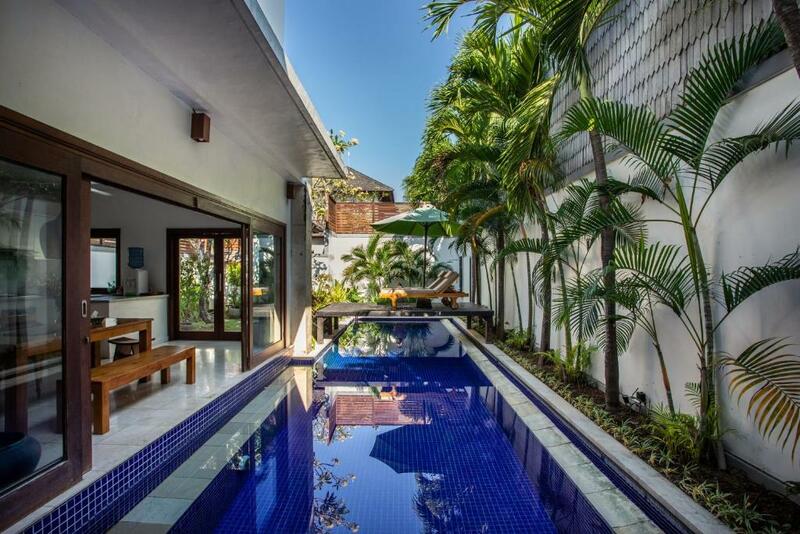 뀐 Located in the top-rated area in Seminyak, this property has an excellent location score of 9.7! When would you like to stay at Villa Vanilla 2? Air-conditioned 2-bedroom villa with separate living room, dining area and fully equipped kithen. The private pool has a sun deck. 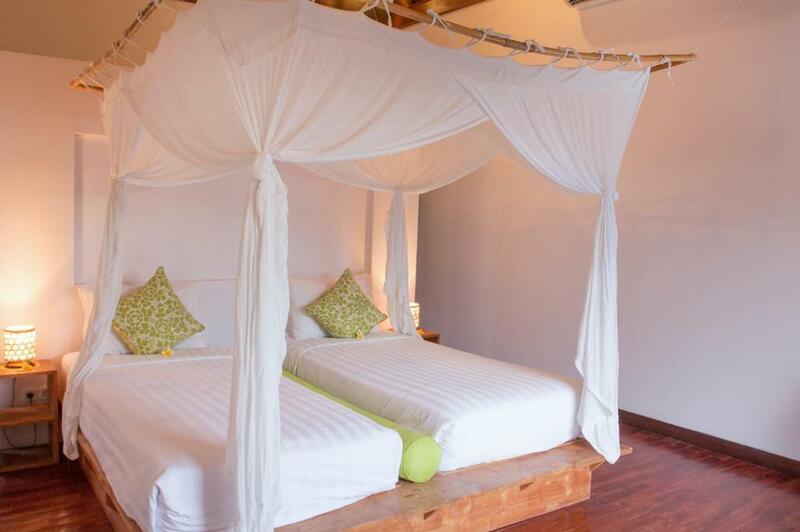 The master bedroom has a private bathroom with bathtub and the second bedroom has its own balcony. Hi, my name is Oka. I will be very happy to be your host during in Bali and share about our culture and tradition. 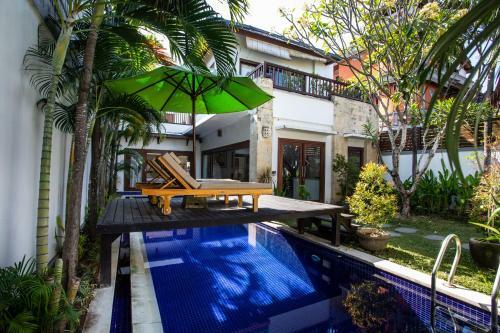 Just short walking distance from the villa to everywhere eat, tourist attractions, shopping center, popular international restaurants, Seminyak square, Seminyak beach, SPAs, clubs night life, and many more. House Rules Villa Vanilla 2 takes special requests – add in the next step! One child under 2 years is charged IDR 96802 per person per night in a crib. One older child or adult is charged IDR 290406 per person per night in an extra bed. Villa Vanilla 2 accepts these cards and reserves the right to temporarily hold an amount prior to arrival. Please note that the hotel will contact guests directly for a deposit payment. Minor gripe. The washing machine didn't work and that was in the advertisement. Bed a little on the firm side. Ok price for 4 people sharing the cost, but maybe a bit high for ju st 2 people. Mosquitos. We had to buy our own mosquito coils and spray every night before bed.